We will deliver the bin to your location for your team of labourers to load up your waste and pick it up when you’re finished. Many of our containers have swinging doors to allow you to walk right in. Save the back strain of trying to throw it over the high walls! Looking to keep your hands clean? Let us do all the heavy lifting for you! Our qualified, courteous crew will work with you to determine what needs to removed and take care of moving all materials into the bin for you. You build, we’ll do the rest. 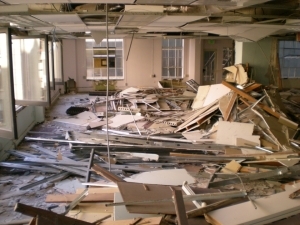 Debris removal can sometimes be a very expensive, time-consuming expense. That’s where we come in. Our experienced drivers and staff are here to help you solve your disposal problems.